When your child has just been diagnosed with food allergy, you probably will want some help as to what to next. What to do first, when feeling so overwhelmed. How strict does an elimination diet have to be. Advice on what children can eat once they have finished formula: a list of practical allergen free foods, especially breakfast and snacks. A phone number of the support group: many mothers said that it would be good to talk with other mothers who have gone through similar experiences. The shops in Christchurch that supply dairy- egg- free foods. About egg replacer, where to get it and how to use it. The alternative foods that supply calcium to their child’s diet. When their child comes off the formula, how do they know that they are getting all the nutrients they need. What are the alternative sources high nutrient foods that can replace dairy, egg and nuts. Practical recipes that are egg-free, dairy-free and nut-free. A detailed list of what foods their child can have, and must avoid (for example: soy sauce, sesame seeds, dressings, preservatives, colourings, gluten-free products). More ideas of how to cook with Neocate/ Elecare / Pepti-Junior special infant formulas. More information about anti-histamines, when they sould be used, as well as side effects. More about the progression of food allergy, when might the child outgrow the problem. When is it a good time to see a dietitian? Is their child is getting all the nutrients he needs. Is it safe to completely eliminate all dairy and/or egg from the diet. More help in reading food labels. These are the questions that you are asking for more help. So we have answered all of these in detail. We have also produced you a practical and easy-to-use set of recipes so that you can feel confident your giving your child a fully nutritious diet that avoids milk, egg and nuts. We have also gathered a list of useful websites related to buying safe foods for your child (we have asked these firms to check through and make sure that this information is correct). If we haven’t been able to answer your questions, please let us know and we will help you even more. 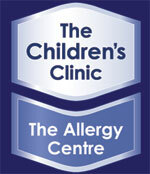 Every one with on-going symptoms needs to be assessed for food allergy.